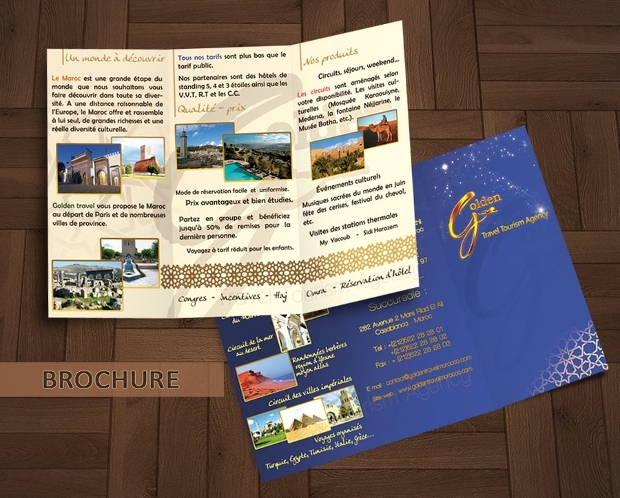 Using brochures is the best and most effective way to promote your business. 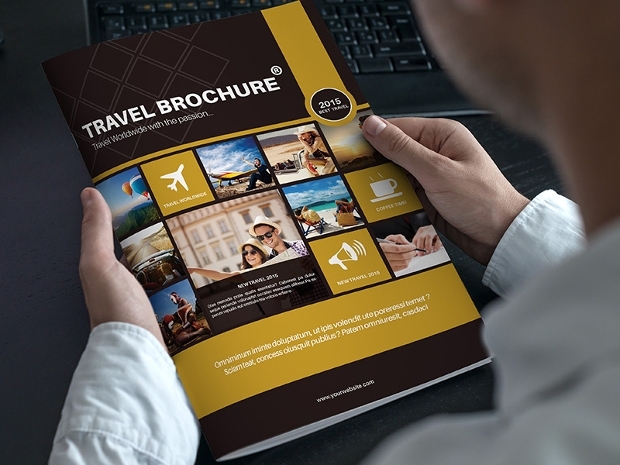 Travel agency brochures are a sure way to attract potential customers. 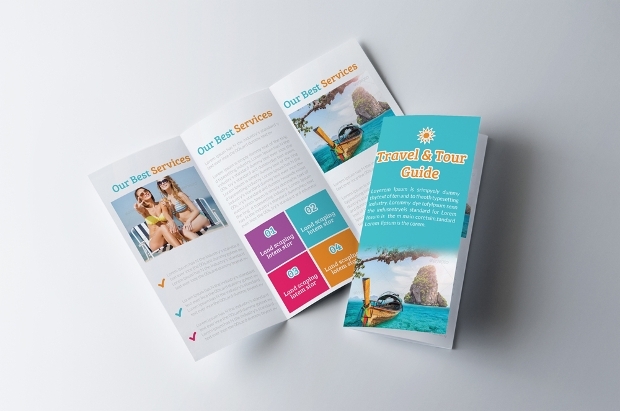 However you need to know that a brochure needs to be well designed accompanied by precise and enticing content to catch the eye of your target market. 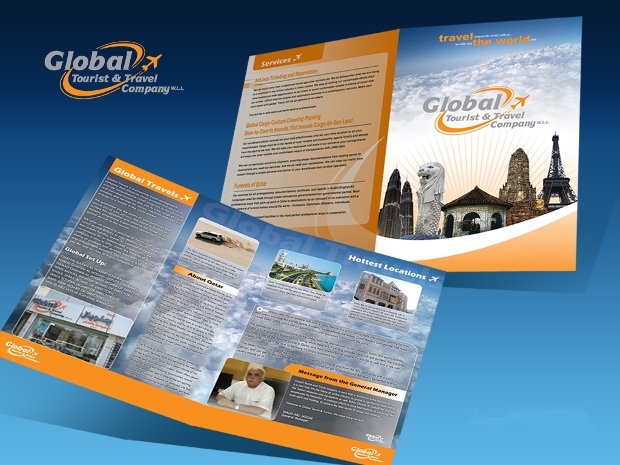 We are going to show you a great collection of travel brochures that might help your business. 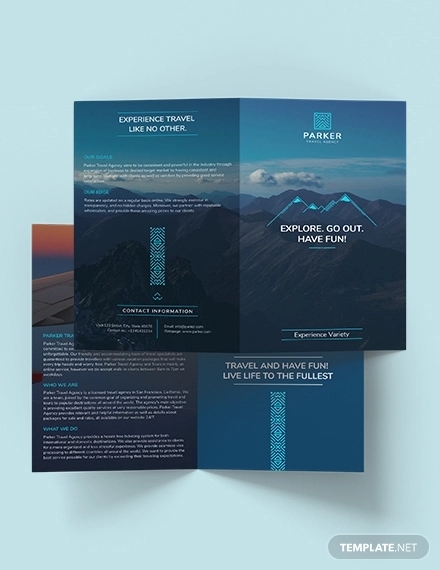 This is a twelve page travel brochure. 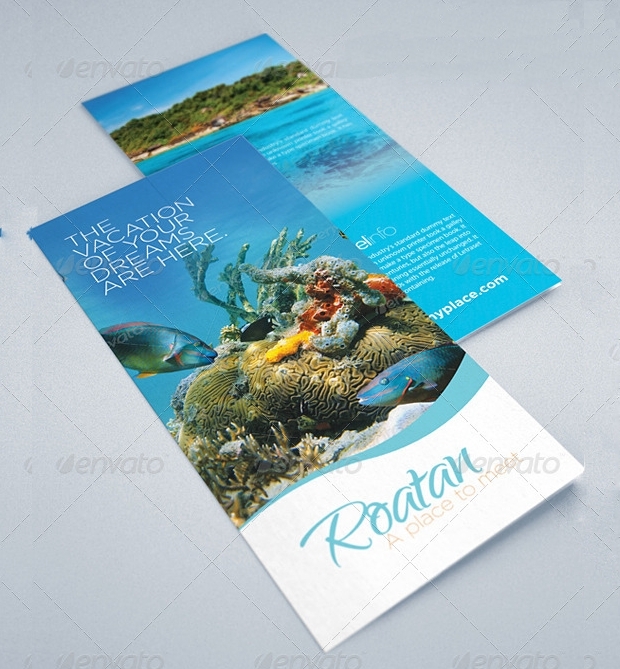 It is available in four different colors to choose from, has a resolution of 300 DPI and is editable and ready to print. 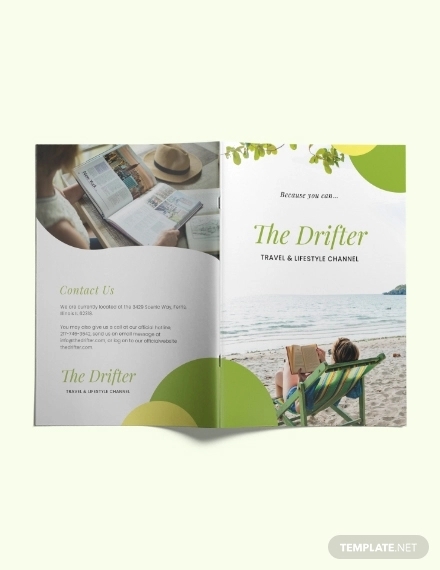 This is a stunning twenty two page travel catalogue brochure. 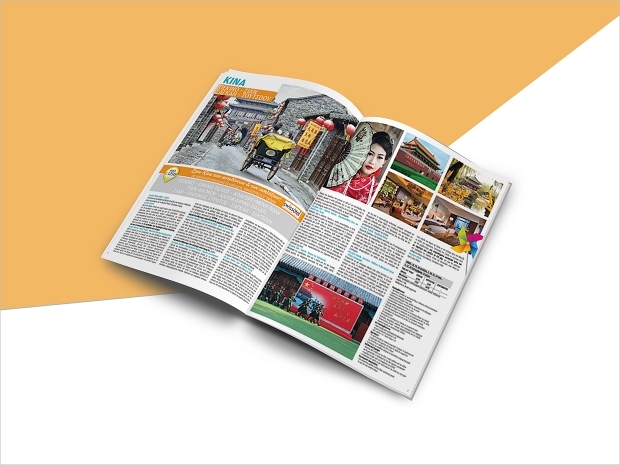 You can find it in a ready to print format with easy customization to fit with your business’s profile. 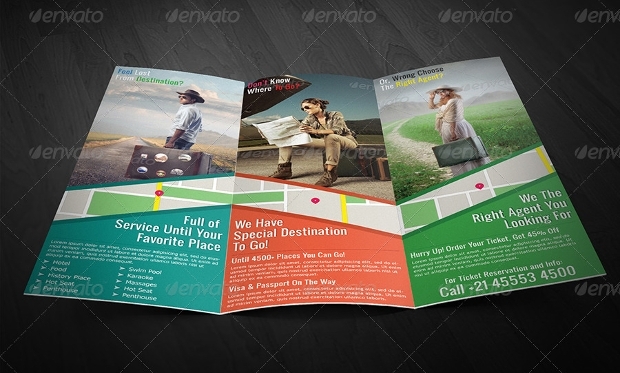 Despite the fun layout of this tri-fold brochure it has an exotic appeal. It consists of high quality design that is layered so that you can customize to your preferences. 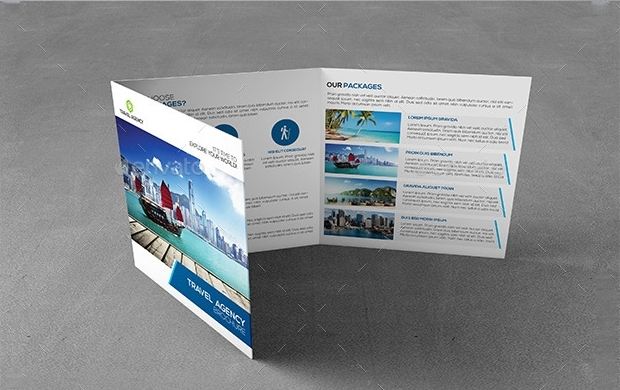 This is a sophisticated brochure in A4 bi-fold design. 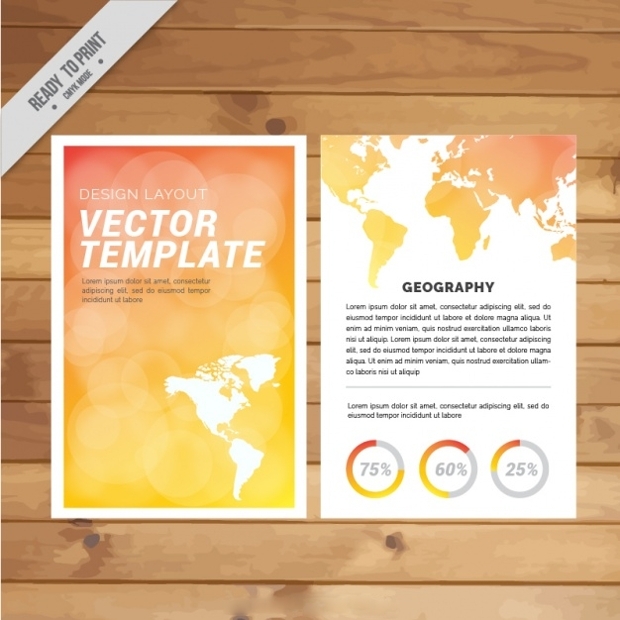 You will find it in a fully editable file that you can change the color scheme, the pictures and the logo. 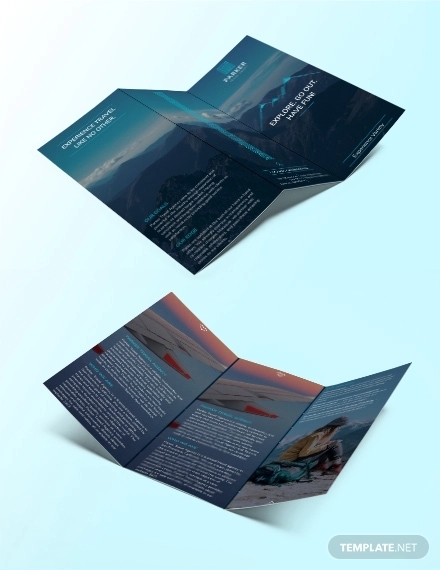 This is a 24 page brochure that is layered allowing for addition or extraction of things you don’t want to be included. You can customize the colors according to taste. 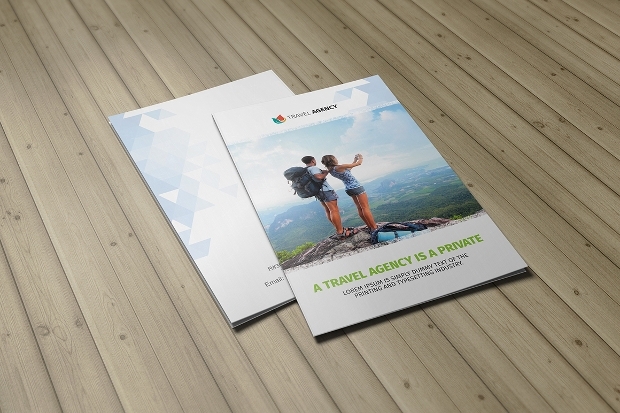 This bright and fun brochure design is perfect for travel agencies. 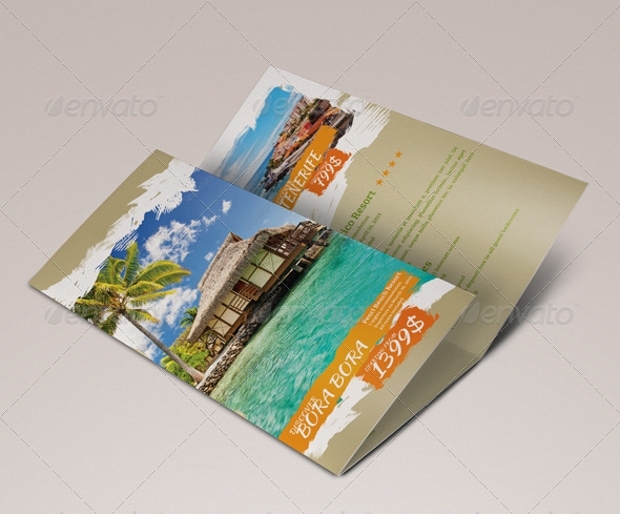 It is available in PSD format file without pictures that allows for full customization by changing the color scheme. 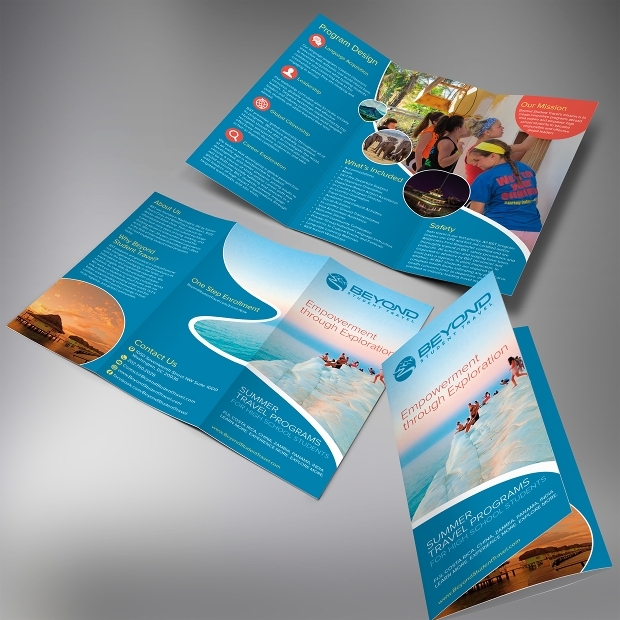 If your target market is students and school trips then this is the brochure for you. The interesting design alongside the pleasant color combination will bring you the desirable results. This holiday brochure has a sense of adventure. You can download it in PSD file that is fully editable and ready to customize. It requires Adobe Photoshop CS4 or above. 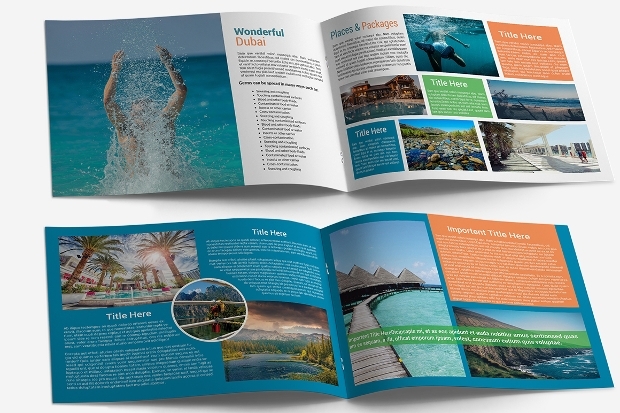 This travel and tourism brochure is a ready to print one. 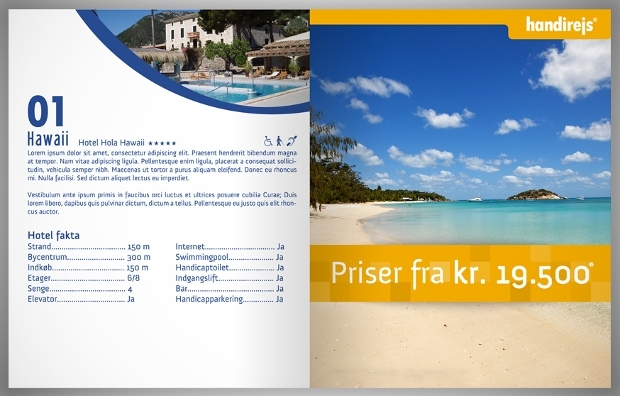 You can find the pack with two PSD format files for the covers and the inside that are editable. 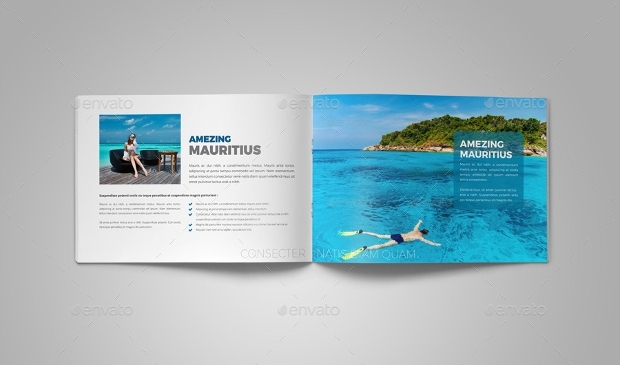 Use a high resolution pleasant and interesting brochure template. You can download this one in EPS and AI file formats that can be fully edited along with Google fonts. 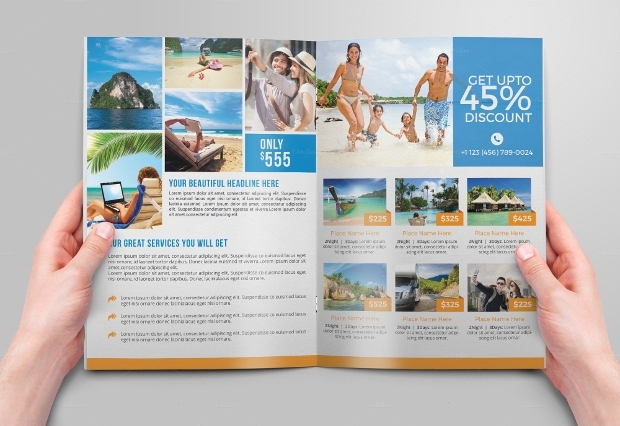 Create effective business promotions with these travel brochures. Use interesting imagery, bright colors and inspiring content to attract your target market. 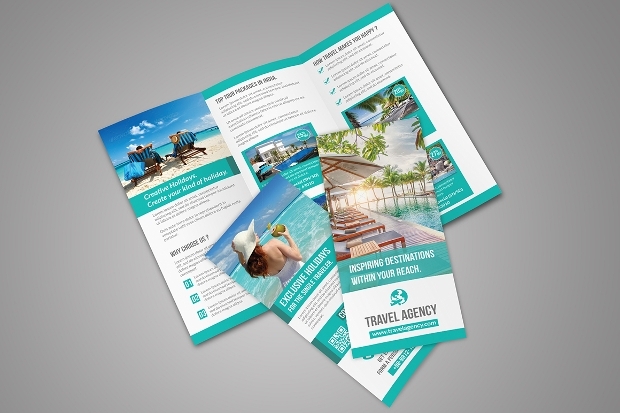 In case you are going to use them for email promotion, then do not neglect to add travel brochure to guide your clients to your website.